In the snowy atmosphere of Seattle, the Winterhawks beat the Thunderbirds 4-1 to earn their fifth straight win in the I-5 rivalry. For the second time this week, the Winterhawks jumped out to an early road lead, come to find out they would not relinquish it. The Winterhawks did not allow Seattle to score an even strength goal (their lone goal came late in the third period on a 5-on-3 power play) in back-to-back meetings. Nine different players recorded a point for the Hawks with defenseman Johnny Ludvig leading the way with his first multi-point game in his WHL career (1G-1A). Seth Jarvis and Brendan De Jong each had two assists. 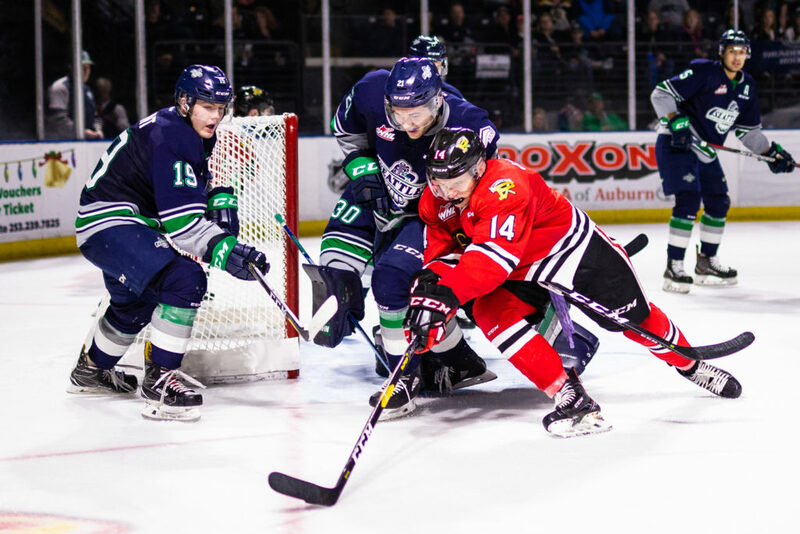 The Hawks now turn their attention to the division-leading Everett Silvertips on Saturday night. Shane Farkas improves to 9-1-0 against the Seattle Thunderbirds in his career, stopping 25 shots tonight. Portland has five straight wins against Seattle dating back to November 17, 2018. The Hawks only allowed one goal tonight, which is their best defensive performance against Seattle all season. Joachim Blichfeld scored the first of the night to give him 44 goals in 53 games. John Ludvig now has three points in his last three games and his +36 rating continues to lead all Western Conference players. With a two assist performance, Seth Jarvis becomes the 8th WHL rookie to surpass 30 points this year. POR: Shane Farkas with 25 saves. SEA: Cole Schwebius with 24 saves.